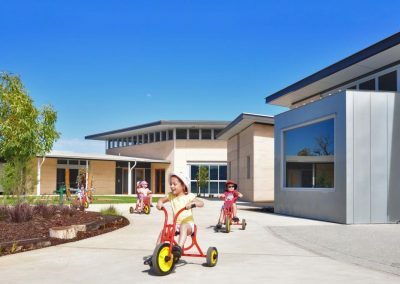 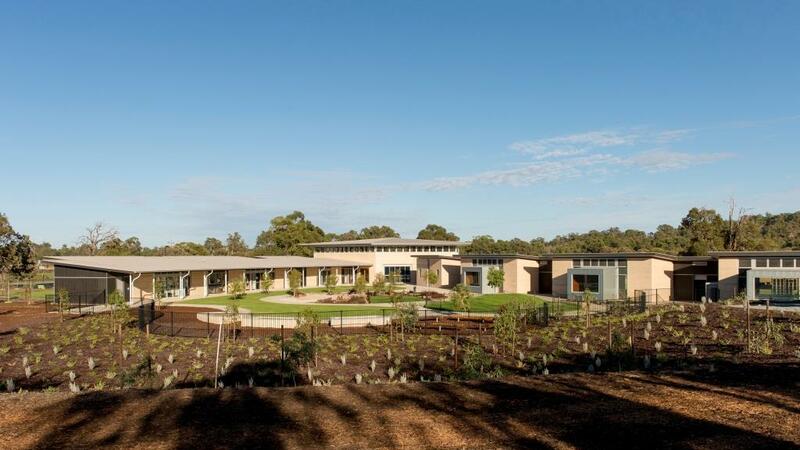 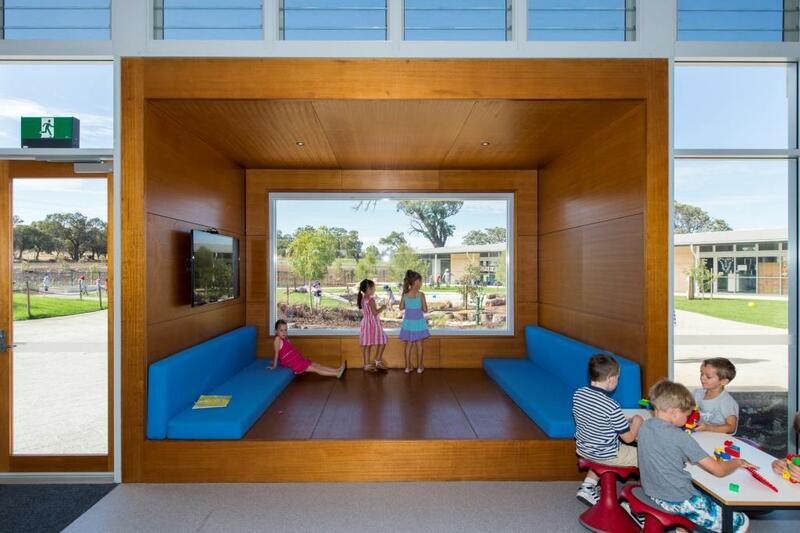 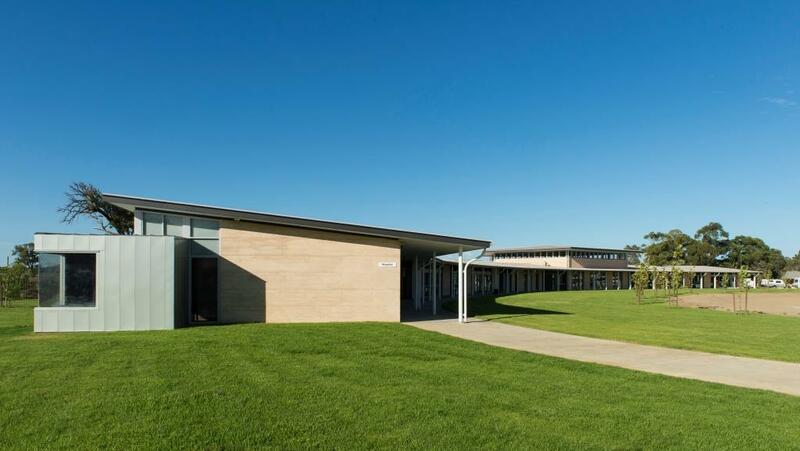 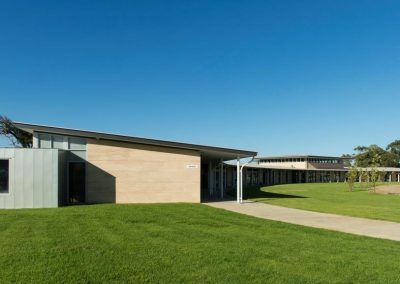 Parry & Rosenthal Architects were commissioned to implement Stage 1 of the new Mother Teresa Catholic Primary School located in Baldivis, Western Australia. 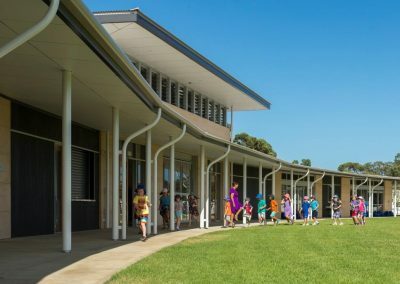 The project consists of classrooms for Kindergarten to Year 2 with administration, library, canteen, multipurpose rooms, a covered area (also used by the local Catholic Parish for church services and events), hard court, service, drop-off and parking, and associated landscape works. 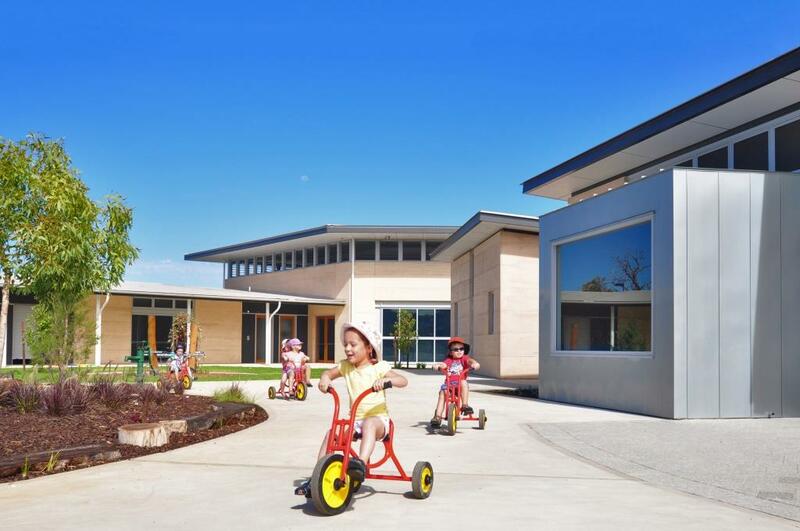 The brief for the project entailed creating a building with a strong presence in the developing suburb that will serve the church and the wider community while being a 21st century teaching and learning centre. 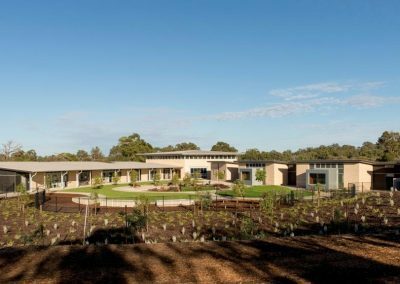 A detailed master plan was undertaken by Parry & Rosenthal Architects for the longevity of the primary school. 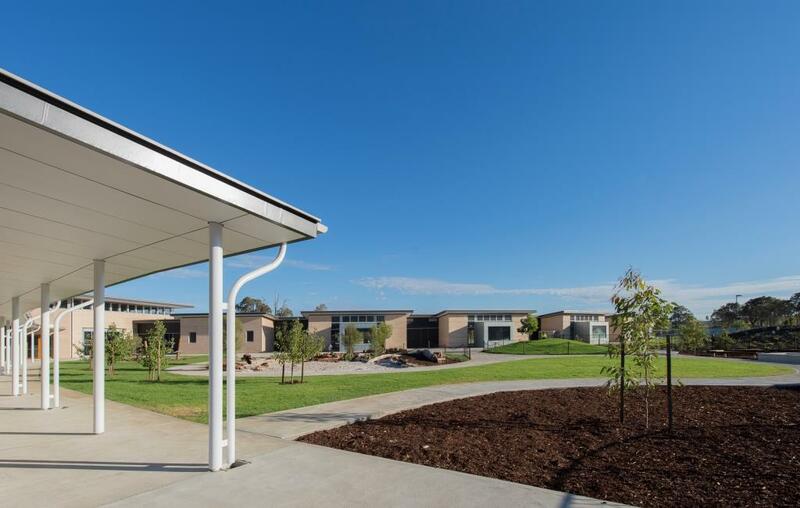 Through clever design principals the campus was constructed around a central community court with facilities and learning spaces around its edges. 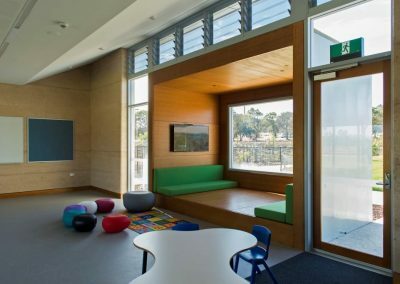 Manual and powered Altair Louvre Windows with the Stronghold System are incorporated into the design of the classrooms, multi-purpose and administration building to assist with creating a light and spacious area for the students and other users to enjoy. 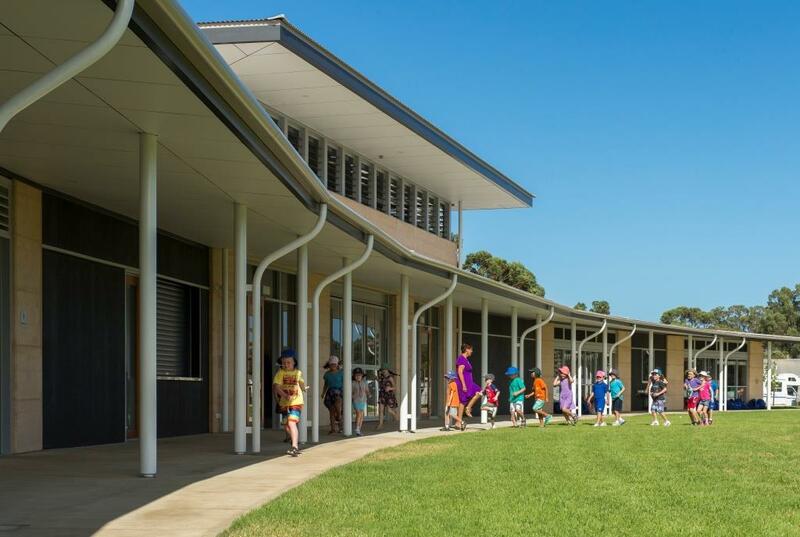 By utilising Altair Powerlouvres up high, hot air can be flushed out and replaced with cool, refreshing breezes that can help stimulate the minds of those in the learning environment. 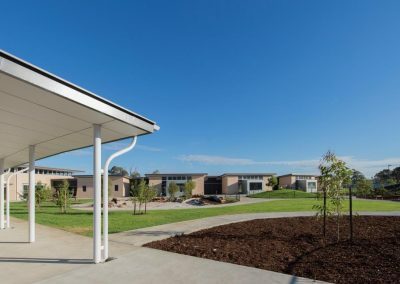 Altair Louvres at 1200mm lengths with the Stronghold System provide clear, unobstructed views so students can maintain a connection with the outdoors at all times throughout the day. 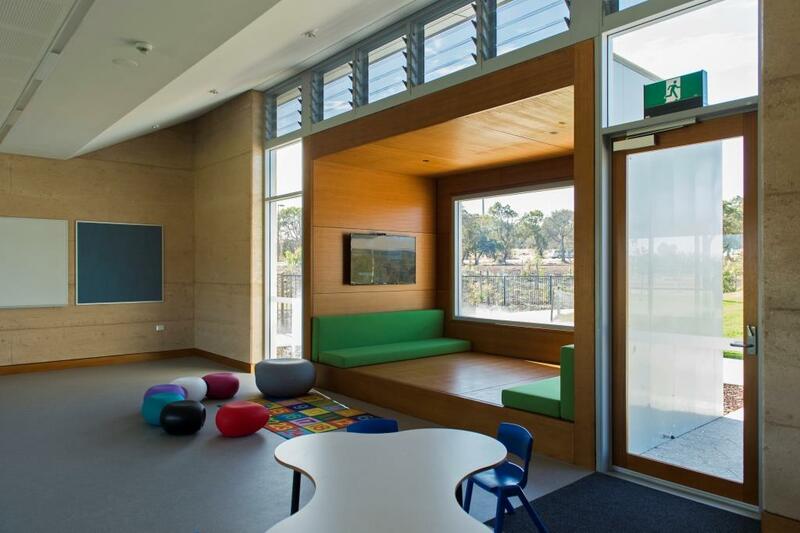 This project has won AIA and CEFPI International Commendation Awards. 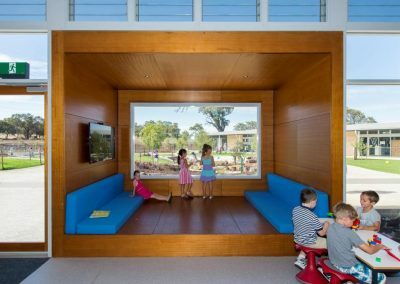 More recently it won the AIA 2016 Hillson Beasley Award for Educational Architecture.